Last year's Champion Bumper winner Relegate can land the wordy opener - the Nathaniel Lacy & Partners Solicitors '50,000 Cheltenham Bonus For Stable Staff' Novice Hurdle - a Grade One over two miles and six furlongs. Already a grade one winner of course at Cheltenham last term, this mare finished third on her debut over hurdles - eventually promoted to second, before scoring next time out at Naas. Off since, ready to roll on and notable that Ruby takes the ride over Salsaretta. Surely is overpriced at 11/1. 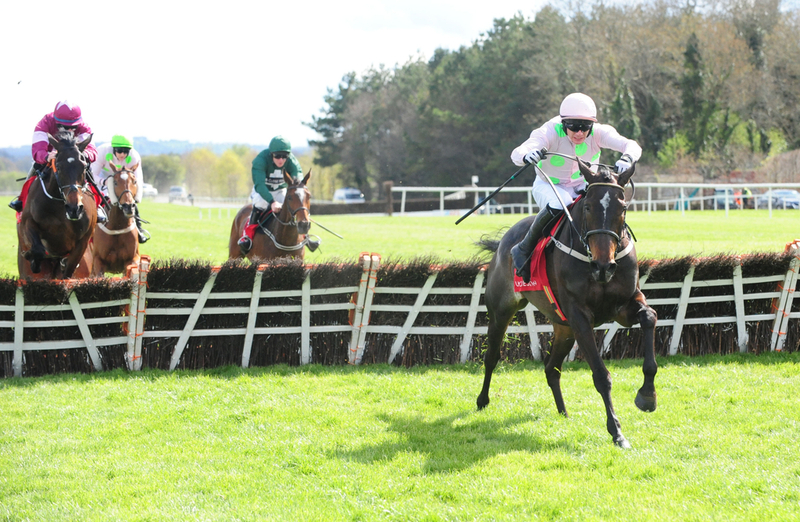 Star mare Apple's Jade; in receipt of 6lb or better from all of her rivals, can use that to her advantage once again as she goes in search of a fourteenth career success in the Irish Champion Hurdle. Three from three this term - all under the odds of even money, she streaked clear to land the Christmas Hurdle here; albeit Faugheen fell two out when in with every chance. Many would of expected the mare to still land the spoils, and although dropping to two miles for the first time since November 2016, she is expected to come through with as many as three options at the Cheltenham Festival all crying out for her name. The one they all have to beat. Jetez - not to be confused with Jetz, can booster the Moscow Flyer Hurdle form with an improved effort in the Ladbrokes Hurdle - a handicap rated 0-150. A fine servant to Jessica Harrington's yard in the last year, with several close efforts in similar handicaps. Did not look out of place last time out and can fair better in more appropriate company. Envoi Allen has looked impressive in both bumpers he has won this term, and a hat-trick definitely looks on the cards in the Matheson Grade Two Flat Race. Both victories under Jamie Codd have looked smart, looked efficient, and already is short in the market for the Champion Bumper at Cheltenham. If it wasn't for Nicky Henderson's Champion Chaser Altior, Min would be a dual Cheltenham Festival winner, but either way he remains one of the best two milers about and looks hard to oppose in the Ladbrokes Dublin Chase. A real classy horse, he is a three-time Grade One winner, and was best of the remainder in last season's two mile chase final at Prestbury Park. Breezed home in this twelve months ago, and could win in the same fashion once again. No Footpad, so Ruby is left with an easy choice. Gary Moore is having a fine season in front of goal, and sends the lightly raced 9yo Knocknanuss over from his Sussex based yard for the Grade One Frank Ward Solicitors Arkle Novice Chase. Falling on his first start over fences, he quickly put that right a week later when scoring at Fakenham, before making all in a decent contest at Newbury in November. Came into contact with classy French raider back at Plumpton latest, but has a nice profile going forward. Mind's Eye can take the finale for Henry De Bromhead and Gigginstown - the Goffs Handicap Chase over two miles and a furlong. First season as a chaser began brightly, with a win and a second at Wexford and Galway respectively. Sixth to Delta Work in a Grade One before well adrift of Le Richebourg in the same bracket over Christmas proved he is best off handicapping. Chance to back that up here with an excellent jockey onboard.